Evans Ugoh, the Head of Imo/Abia Operations Office, National Emergency Management Agency (NEMA), has confirmed that a pastor and his wife died in Monday’s massive flood in an Imo community. Ugoh confirmed the incident on Tuesday in an interview with NAN in Owerri. The flood swept away some homes and farmlands in Oguta, the headquarters of Oguta Local Government Area (LGA) of Imo. The NEMA official who did not disclose the identities of the deceased couple blamed the incident on the alleged neglect of the agency’s early warning. He said that the agency gave evacuation notice early enough but regretted that it was ignored by the community. 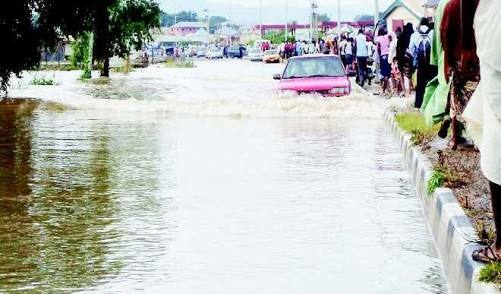 Ugoh said that he led a team of NEMA officials to Oguta and Ohaji/Egbema LGAs to monitor the sea level in the wake of increasing cases of flood in the area. “Unfortunately, before they could get to safety, their overloaded canoe capsized leading to their death."